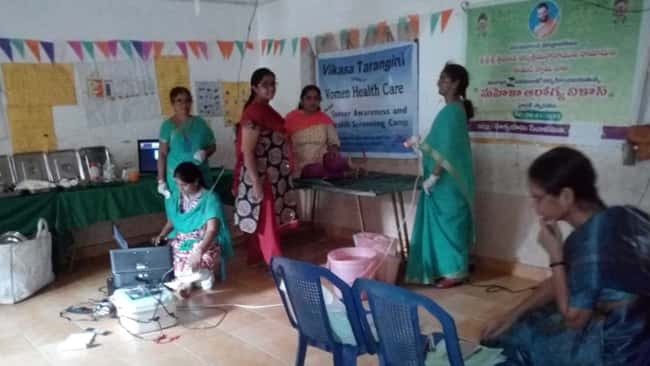 Karimnagar Vikasa Tarangini Mahila Arogya Camp conducted Cancer Awareness Camp and General camp in Eglaspur (V) , Konaraopet(M) , Rajanna Siricilla(Dist). The camp was conducted with the cooperation of Chelmada Ananda Rao Medical college. 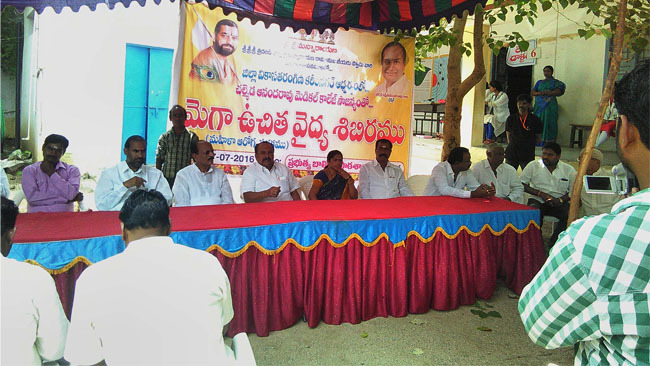 Chelmada Rejeshwar rao (Karimnagar Dairy and Telangana State Dairy Chairman) , UPA Sarpanch , MPTC attended the camp and gave inspiring speeches to the villagers. Vikasa Tarangini members rendered their valuable services in the camp.